US Slave: French Slave Ship, La Marie Seraphique, 1772 1773. 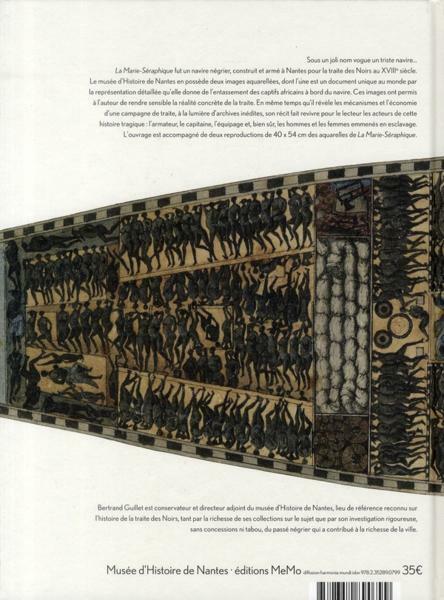 French Slave Ship, La Marie Seraphique, 1772 1773. Arrival: Life in the Americas -- Once arrived in the Americas, most Africans were sold several times before reaching their final destination, often hundreds of miles away. The majority ended up on plantations, particularly in the Caribbean. Large numbers also worked in mines, in towns, and in the countryside. Many had been skilled craft workers in Africa and were put to work as carpenters, metalworkers, watch smiths, gun makers, coopers, and sailors. As slave owners established households, women were brought in from the fields to take on duties as servants, nurses, dressmakers, and cooks. Slaves also changed the landscape. They cleared forests, shaped fields, constructed roads and buildings, and dug canals. They created the environment--and the wealth--that allowed their owners and their families to flourish. Preference for Africans -- The Spanish, Portuguese, and English colonists in the New World all perceived that black slaves from Africa possessed numerous advantages....especially in the early years. Many of the Africans, unlike many Amerindians, were accustomed to the labor discipline inherent in societies that practiced large-scale agriculture. Many blacks knew metal working, especially in iron, whereas the native Americans were unfamiliar with iron and used softer metals, primarily for decorative rather than productive purposes. La Marie-Seraphic was a slave ship, built and armed in Nantes for the slave trade in the eighteenth century. The History Museum of Nantes has two watercolor pictures, one of which is a document unique in that it gives a detailed representation of the crowding of African captives aboard the ship. These images have allowed the author to make sensitive the reality of trafficking. At the same time it reveals the mechanisms and the economy of a campaign of trafficking, in light of new archives, his story brings to life the reader the actors in this tragic story: the owner, the master, the crew and, of course, men and women taken into slavery. The book is accompanied by reproductions of two 40 x 54 cm The watercolors by Marie-Seraphic.